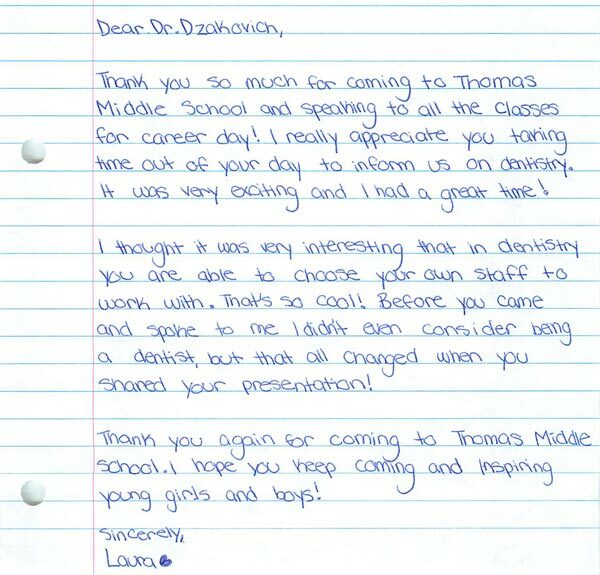 In March, 2014 Dr. Dzakovich, our Arlington Heights Dentist, visited Thomas Middle School for career day. 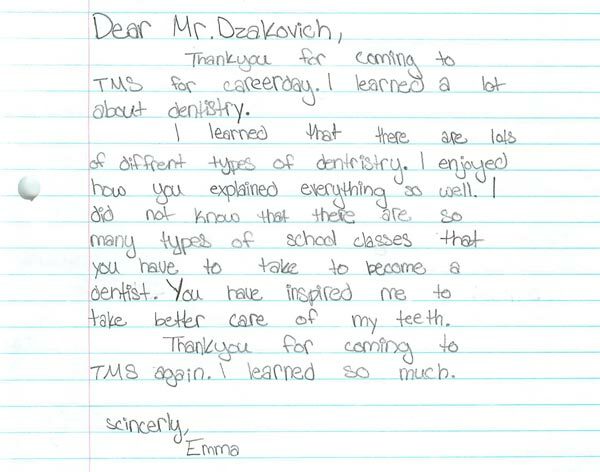 He enjoyed meeting with the students and teaching them about oral health, dentistry and the career of being a dentist. 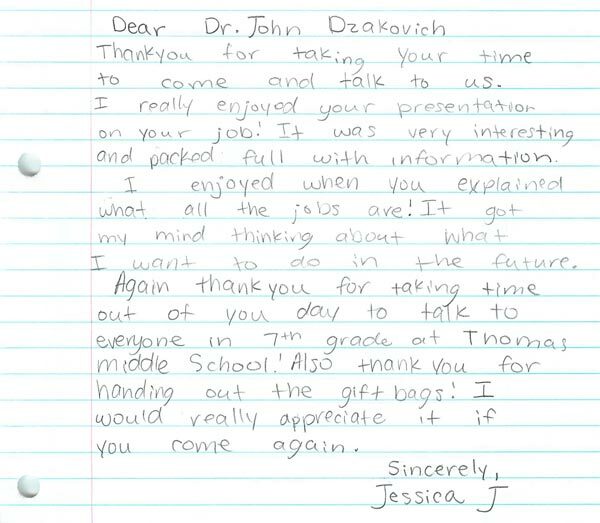 Below are some Thank you letters that Dr. Dzakovich received from the students.